Behind closed doors, and very quietly, lawmakers from both wings of both parties are scrambling to save DACA — a program that has protected from deportation nearly 800,000 young illegal immigrants who were brought to the U.S. as children. 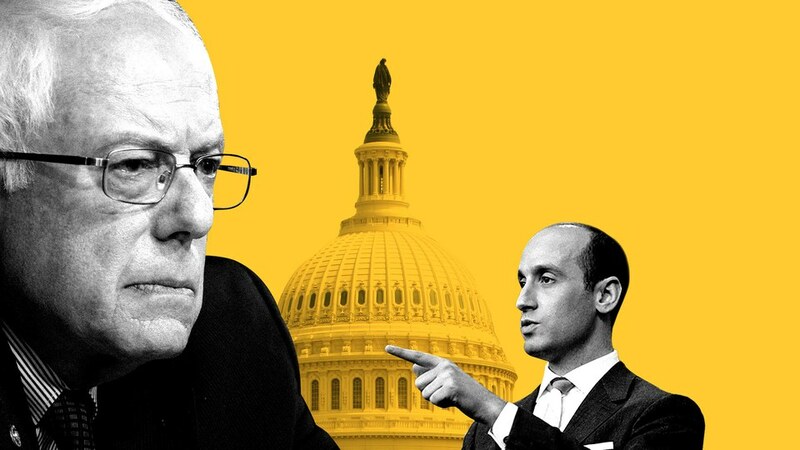 As improbable as it sounds, it currently appears that the Bernie Sanders wing of the Democratic Party has more leverage than the Stephen Miller wing of the Republican Party when it comes to DACA. Obviously this could change. Nothing is solidified. But based on conversations with White House sources, top Hill aides from both parties, and immigration-restrictionist power-brokers, we have concluded that, at the moment, progressive Democrats hold a superior negotiating position to immigration hardliner Republicans. Read the rest from Jonathan Swan HERE.